The St Regis – if you’re looking for comfort and a good location, stay at The St Regis. The entire hotel is beautiful, from the gorgeous suites, to the fitness center + yoga studio I used for BBG, to the bar downstairs where we had drinks before dinner. The hotel staff is super friendly and helpful too! We really enjoyed our stay here. 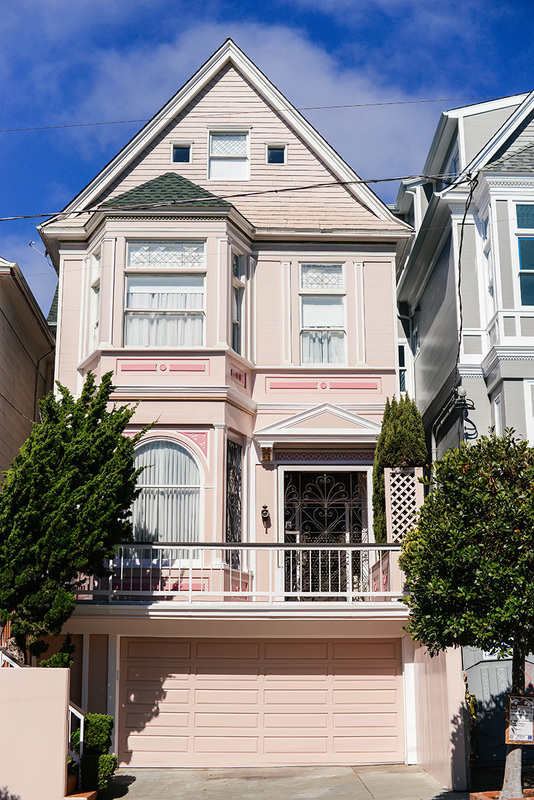 It’s also walking distance to the waterfront/Ferry Building, the MOMA, and amazing shopping around Union Square. 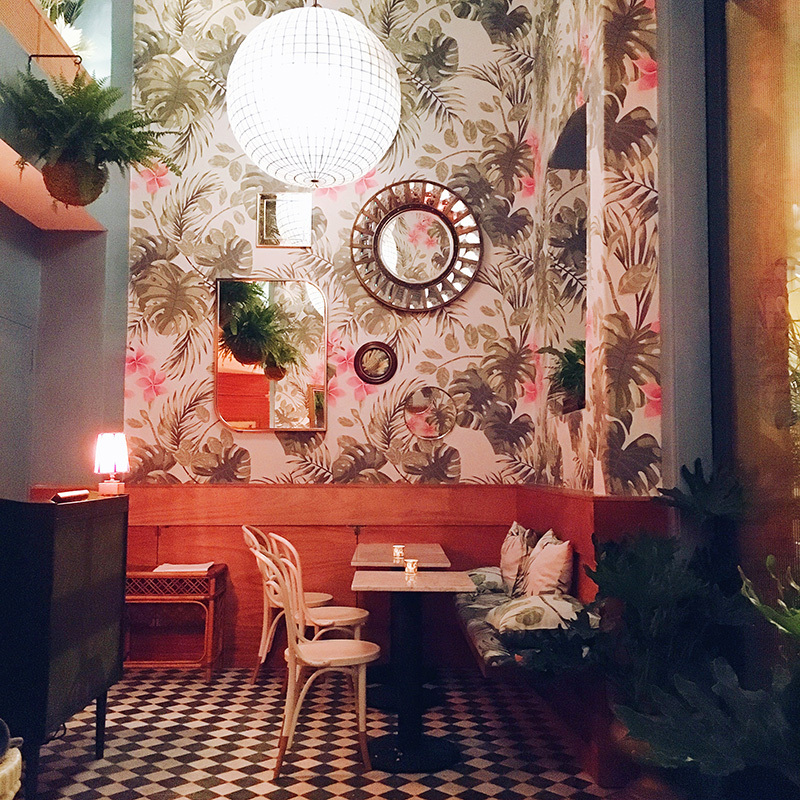 Wayfare Tavern – I made a reservation at this spot for dinner when I was in San Fran for a bachelorette weekend back in March and it exceeded expecations! It’s a lively, young crowd in a dimly lit (albeit large) space. 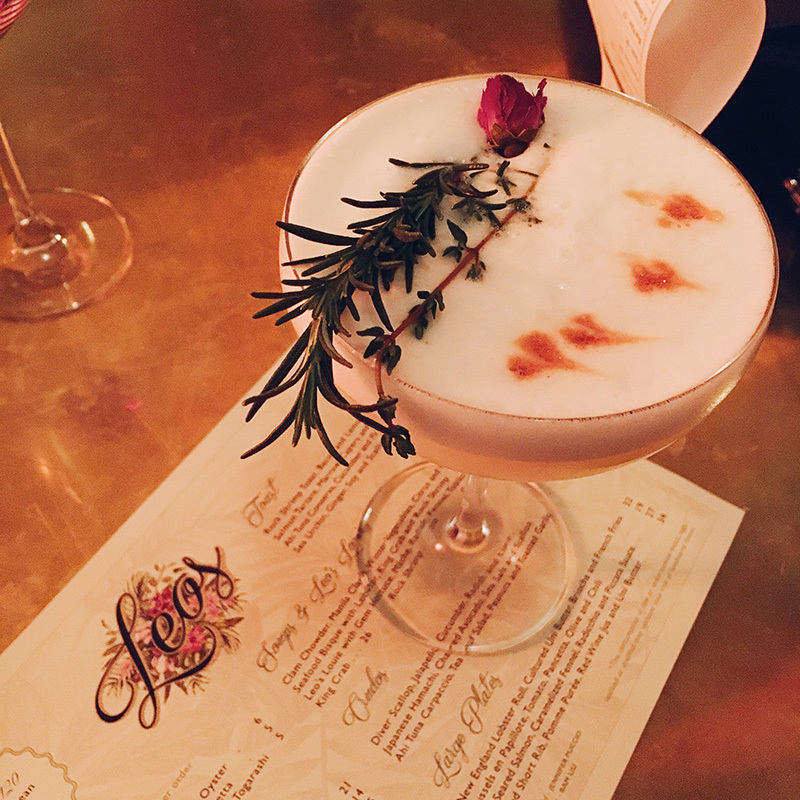 The cocktails are delicious and the food is fresh and inventive. 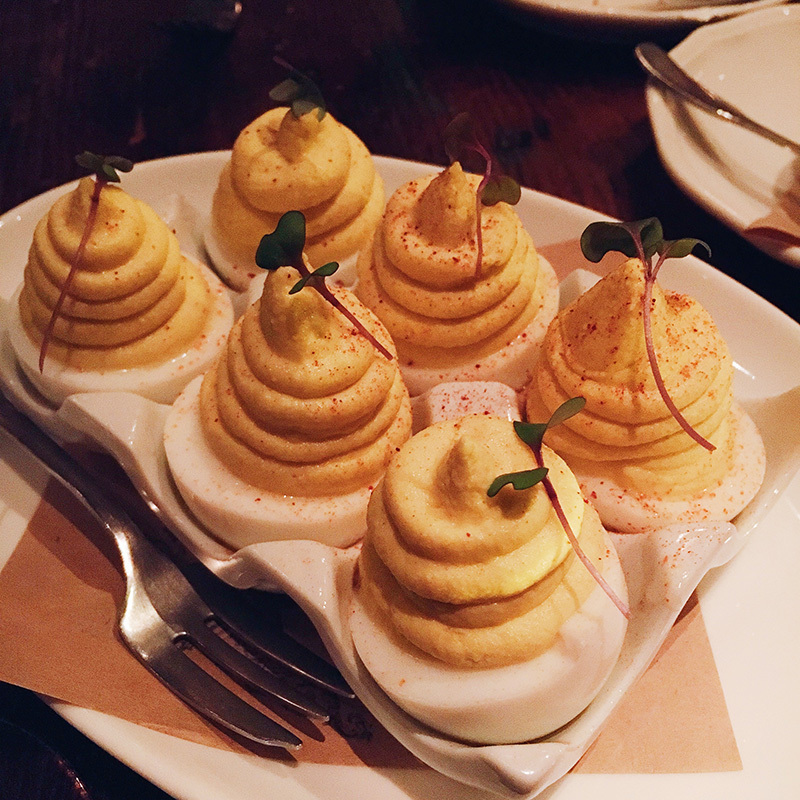 I don’t remember our entire meal, but I do remember the deviled eggs we ordered as an app. SO GOOD! 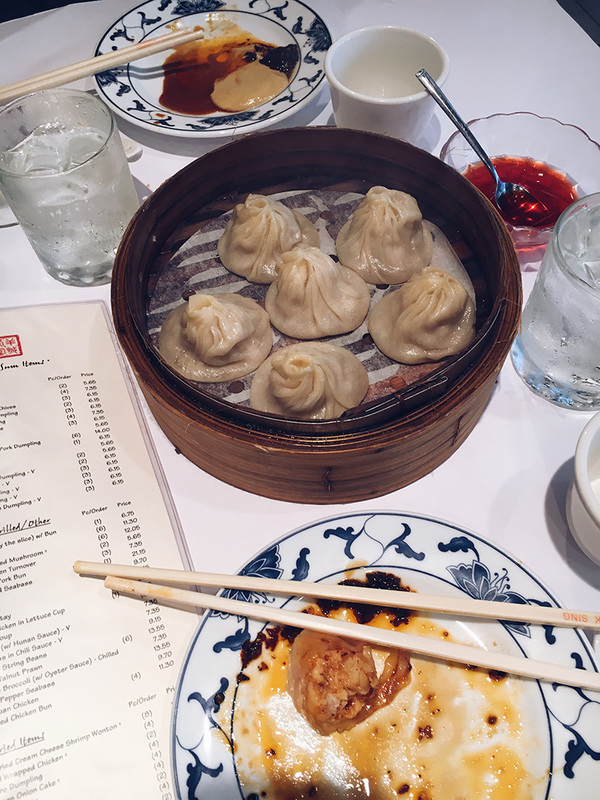 Yank Sing – If you love legit Dim Sum and dumplings as much as I do, you MUST grab lunch here. The food is excellent and they’ll get you out of there quickly if you’re ready to go exploring/shopping. We had so much fun sampling all the different types of dumplings – one of my favorite meals!! Coqueta – this is another spot we visited back in March, right after we got settled at our hotel. It was the perfect spot for tapas and drinks before dinner! Coqueta is right next to the Ferry Building on the waterfront, and when you walk outside you get a great view of the Bay Bridge. The cocktails had flowers in them (love that, obviously), and the tapas we got included chicken croquettes, crispy brussels sprouts, and the “sunny side up huevo” with shrimp, crispy potato and chorizo. The charcuterie and cheese plate is awesome too! Kokkari – gotta give credit to my mom for finding this gem! If you’re a fan of Greek cuisine, plan ahead and make a reservation at Kokkari. The bar is loud and fun, but the restaurant itself is very romantic and elegant, perfect for date night. 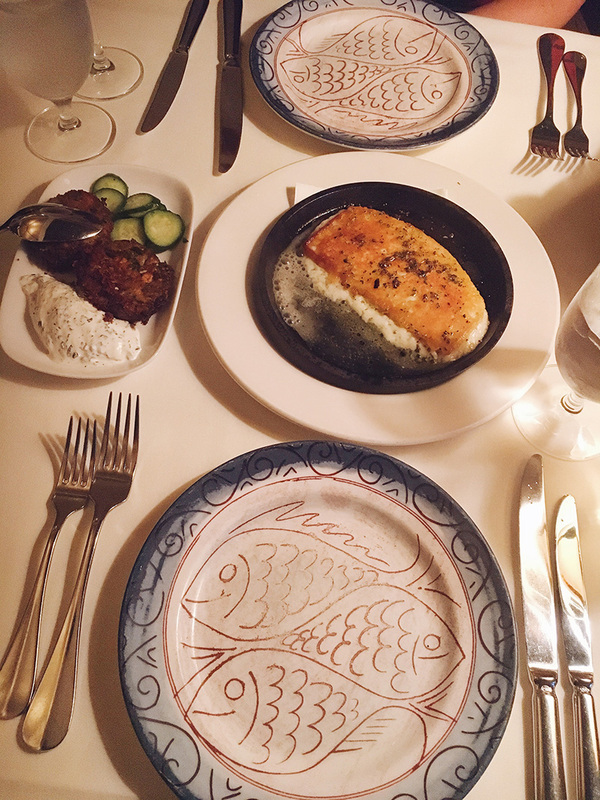 Our favorite items were the crispy zucchini cakes and the pan-fried Kefalograviera with lemon and oregano as our starters, and then we shared the traditional grilled whole fish. Everyone says the lamb is unbelievable though, so I’m gonna try that next time! 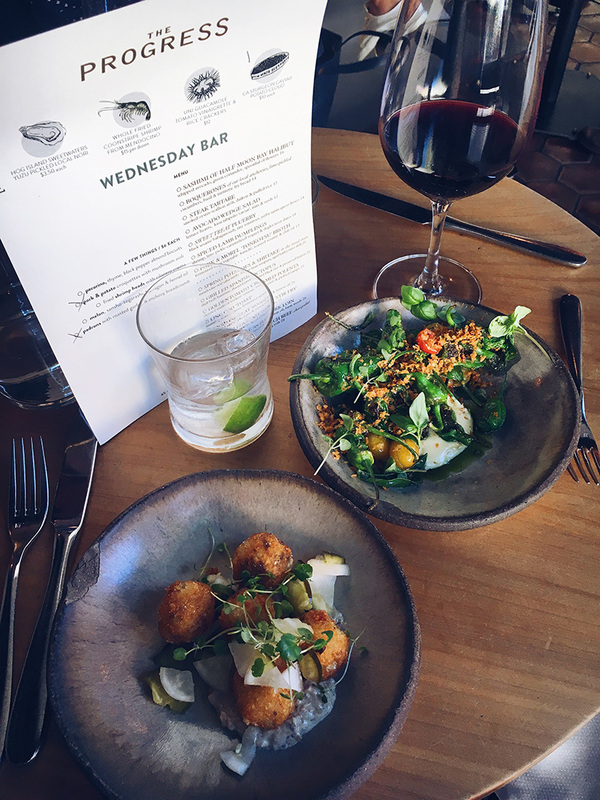 The Progress / State Bird Provisions – one of the most suggested spots I got from people on SnapChat was State Bird Provisions. 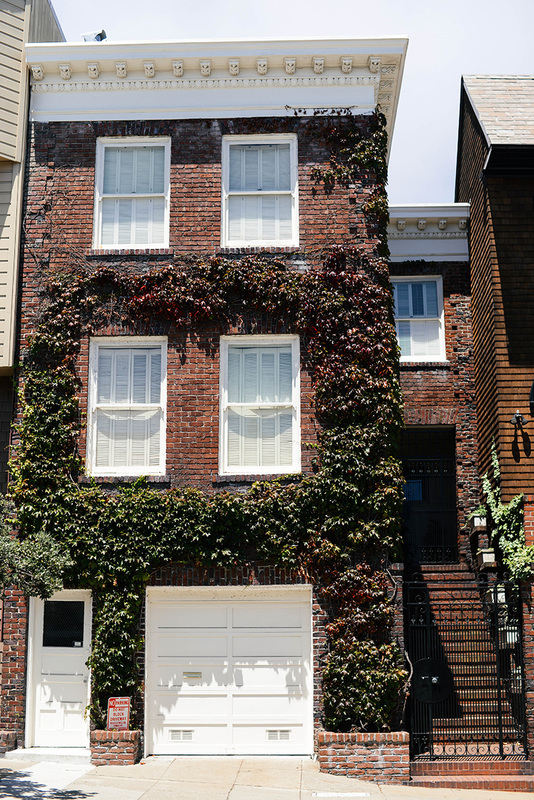 It’s definitely the hottest place to be right now in SF. We couldn’t get a reservation, so we got there early (around 6:30) to see if we could snag a table. They didn’t have any available, but they said they could fit us in at 8:30. We decided to walk next store to check out their sister restaurant The Progress for apps and drinks. To be honest, I think we both enjoyed the food better at The Progress than at State Bird Provisions! For some apps, we ordered the caviar cloud (OMG – to die for! ), the pork and potato croquettes, and shishito peppers. They came to get us 20 minutes earlier than expected, so we hopped on over to State Bird for dinner. The interesting thing about State Bird Provisions is how they serve the food dim sum style – no there aren’t dumplings, but half the menu is served on carts that come by your table. The problem we had with this was that the items on the carts weren’t listed anywhere, so we just had to wait and see what we wanted to order – we also had no idea if we’d seen everything and were worried we might have missed something. My suggestion? Order a few items on the actual menu to keep you fed while you pick and choose from the carts – we ordered the CA State Bird (fried quail – AMAZING) and a salad, although I can’t remember the ingredients. It was so good though! Rose’s Cafe – on a warmer day, grab a table outside for lunch! 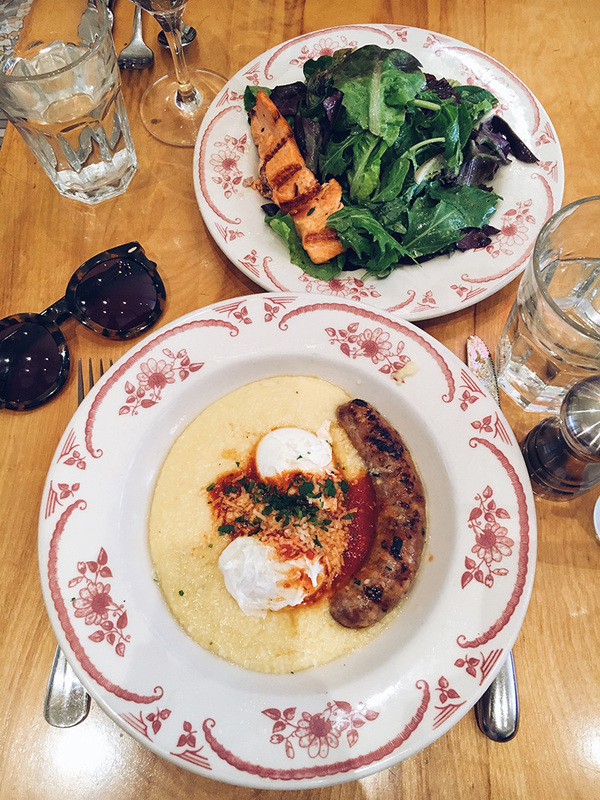 Enjoy breakfast or lunch menu items any day of the week – I had poached eggs and sausage over creamy polenta, and my mom had a salad topped with grilled salmon. Yum! Slanted Door – I have to admit that I actually didn’t eat a bite here. We had a late night the evening before and I wasn’t feeling too hot, but everyone else at our table loved the Vietnamese cuisine at the Slanted Door! This restaurant is situated on the waterfront side of the Ferry Building. It’s a great place for lunch! Monsieur Benjamin – French food is the name of the game here, and boy is it tasty. From fried frog legs and butter + garlic covered escargot, it’s got all the best delicacies you miss from that last Paris trip you took. The menu is pretty large, so I bet even the picky eaters in your group will find something they’ll love! My mom and I LOVED this place. Fig & Thistle – this rec came to me from one of my SnapChat followers, and I’m so glad I took her advice! This wine bar is about as tiny as they get, but it’s a great atmosphere and has delicious wines. I also didn’t realize this when I met my friend there, but the restaurant I was going to with my mom after for dinner just so happened to be right across the street (Monsieur Benjamin). Such a happy coincidence! Leo’s – if you love oysters and other yummy seafood, this is the place to be. 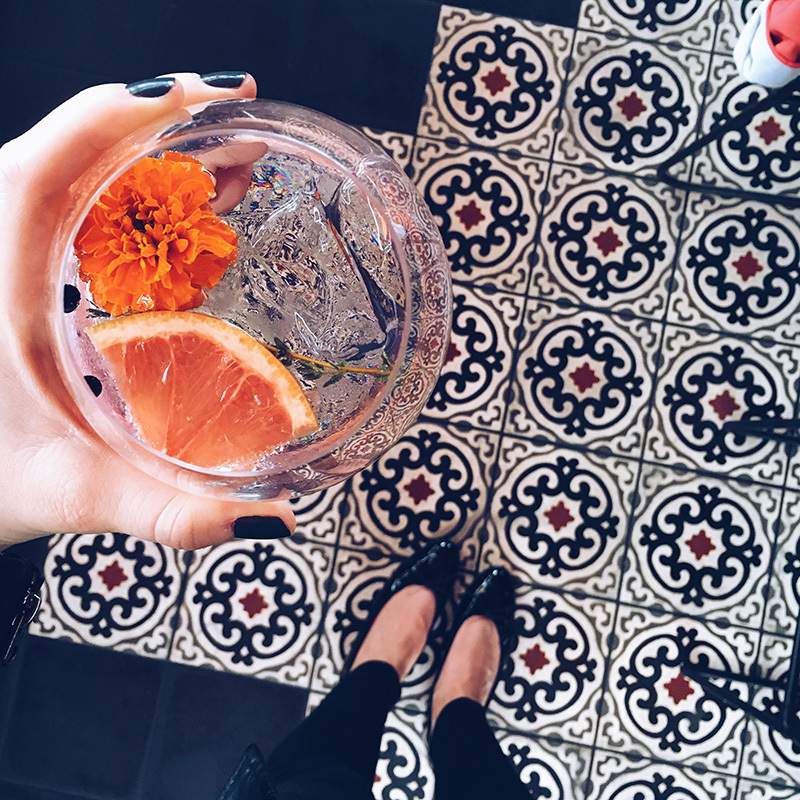 If you don’t, just go for a cocktail or two – the decor is worth it! We stopped in here after dinner at Wayfare Tavern, which happens to be down the street! A16 – for delicious pizzas and pastas, make a reservation at this boisterous restaurant. It’s pretty loud, so don’t expect quiet conversation here. It’s super fun though! If there’s a wait, head to the restaurant (Causwells) across the street to wait it out with a glass of wine. Tartine – if you’re a bread addict, plan your morning around a trip out to Tartine for breakfast or lunch one day. 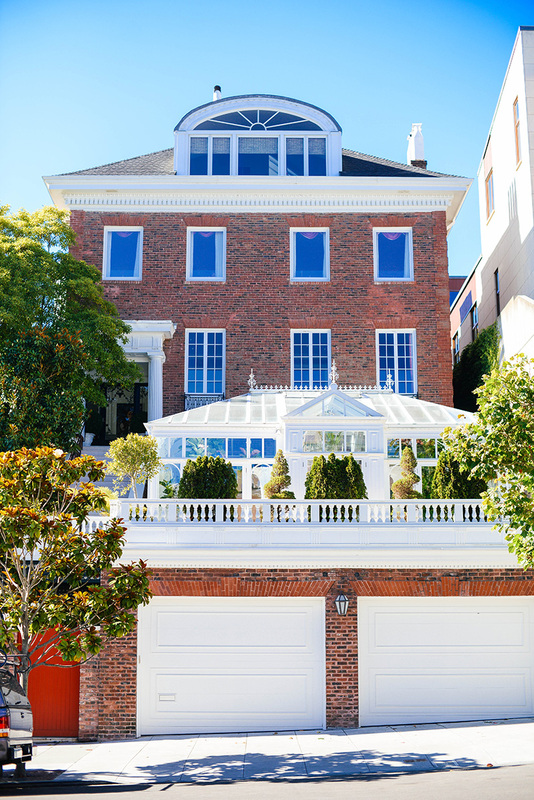 It’s not close Union Square or the Waterfront – it’s about a 25-30 minute drive, but it’ll be worth it for those scones, pressed sandwiches, tarts, and more. HIKE – If you’re feeling adventurous and want to get a little exercise, take a long hike! There are a bunch of trails in the area to choose from. We decided on Land’s End, which offers amazing views of the Golden Gate Bridge, but we would have liked to also do Muir Woods if we’d had the time! One thing we loved about Land’s End in addition to the views of the ocean and bridge was actually walking through the Sea Cliff neighborhood at the break in the trail. 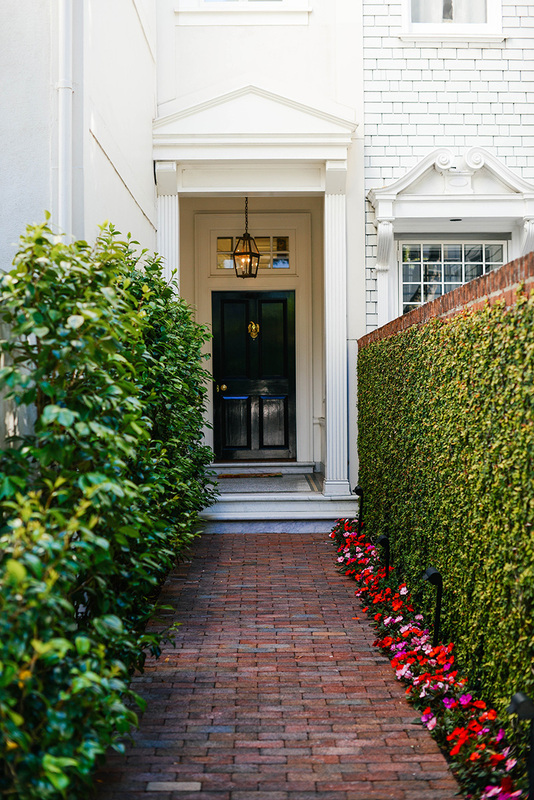 So many beautiful homes! 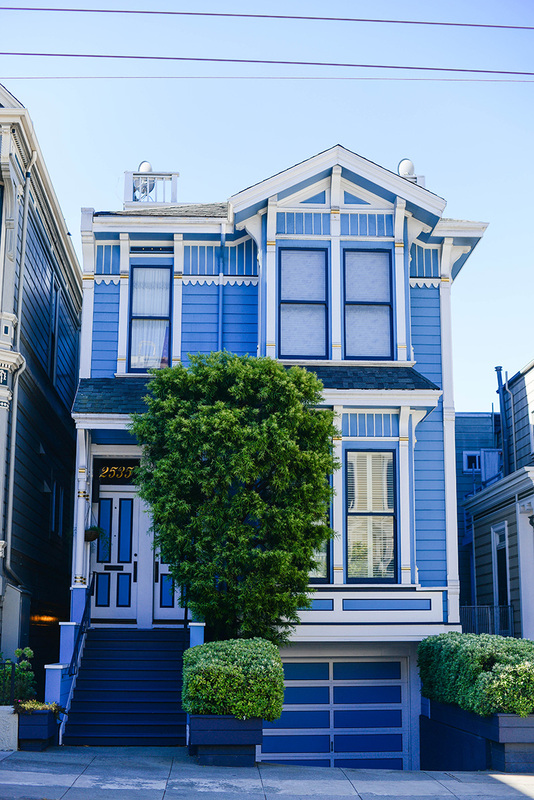 SHOP – For those of you into interiors or looking to add some new pieces to your home, head over to Sacramento Street. The best ones we popped in were Anthem, Hudson Grace, Anyon and the Serena & Lily Design Shop. I got so much inspiration and good ideas for the new house! Also, don’t miss Margaret Elizabeth’s store. That’s where I found my new ring! It’s a beautiful store with lots of cute jewelry and other little accessories. 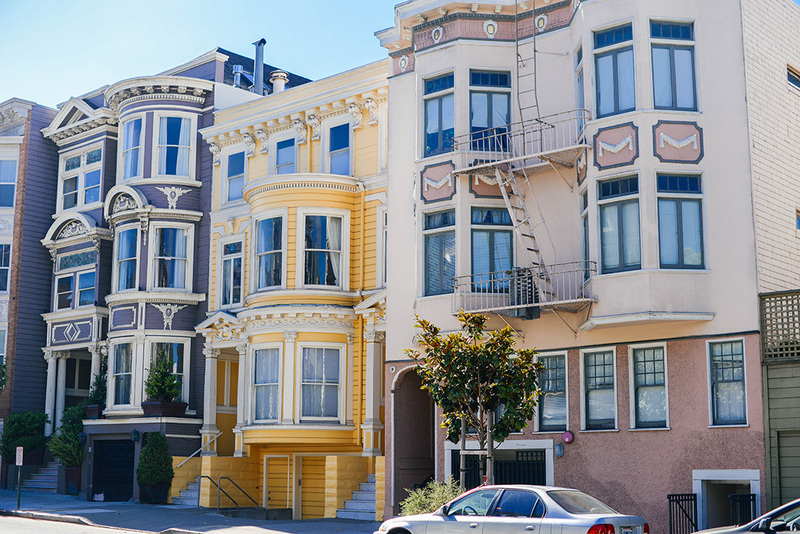 For fashion, head to Fillmore or shop around Union Square (Geary Street and around there). 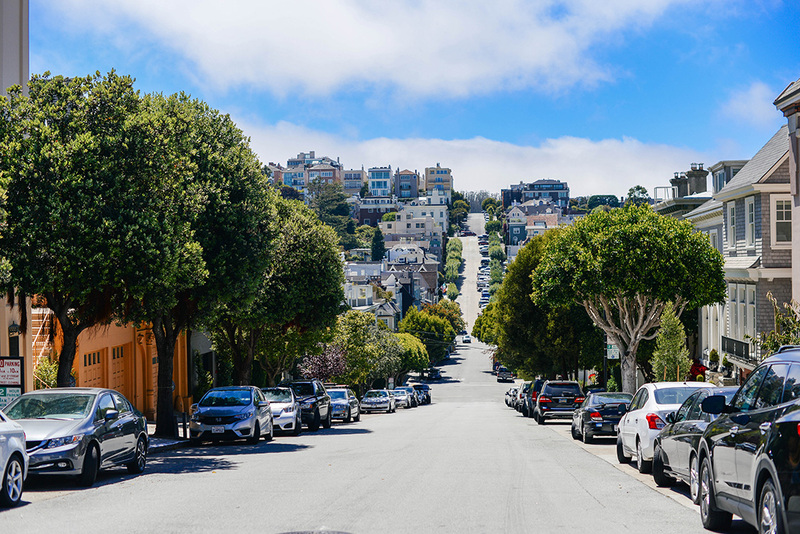 The Fillmore area has contemporary single brand retailers like Rebecca Minkoff, Rag & Bone, Joie and more, while Union Square features luxury designers and department stores like Neiman Marcus, Alexander McQueen, Chanel, and Barney’s New York. 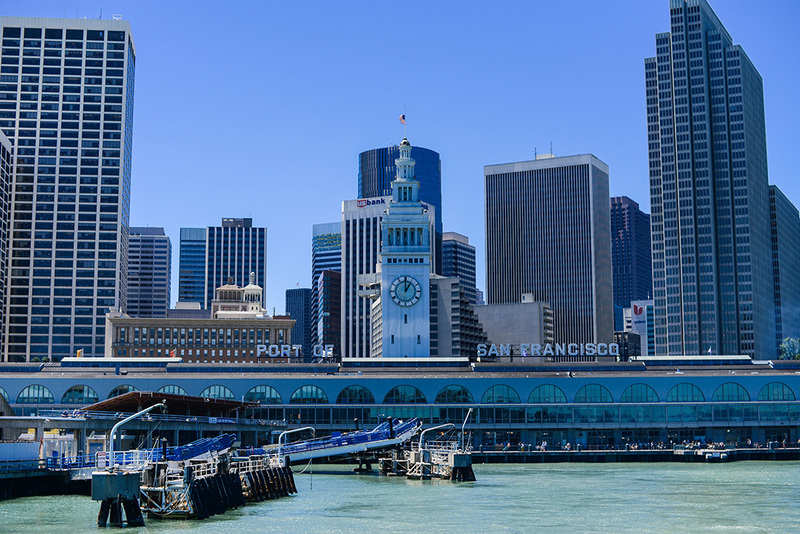 For food shopping, head to the Ferry Building. Pick up the most delicious cheeses (like the black truffle brie we got) at Cowgirl Creamery, freshly baked bread at ACME Bread Company, and the best coffee you’ll ever try at Blue Bottle. Don’t leave without a scoop (or two) from Humphrey Slocum! In addition to the food vendors, there are a bunch of great restaurants to stop in! For flowers, check out The Bud Stop on Union Street. Super cute florist with bright, fresh blooms daily. It certainly made a pretty Instagram photo! 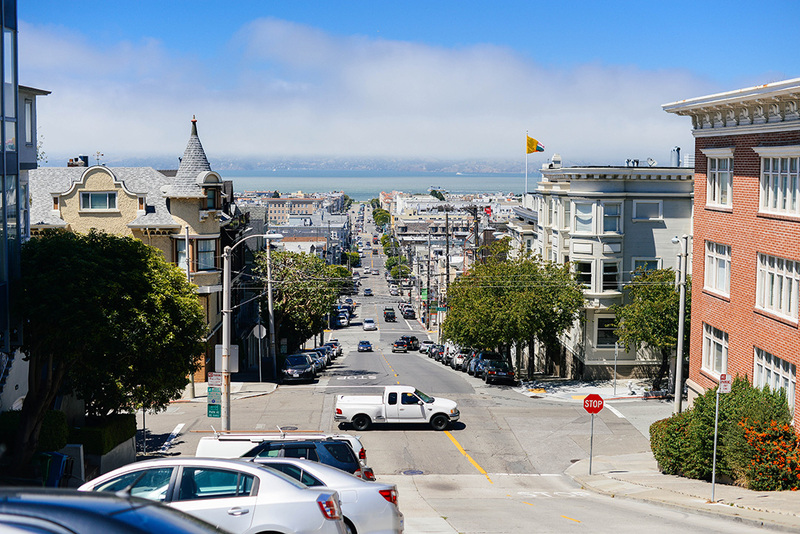 THINGS TO DO // Drive down crooked Lombard Street, visit the new MOMA that reopened in May, go to the top of Coit Tower, ride a cable car (obvi), do the audio tour at Alcatraz (I checked this off in 4th grade), go to Top of The Mark for a drink and fabulous views, grab a milkshake at Ghirardelli Square (touristy but worth it), and explore the Sutro Baths (that’s where we started our Lands’ End hike!). EXPLORE – take a day trip! 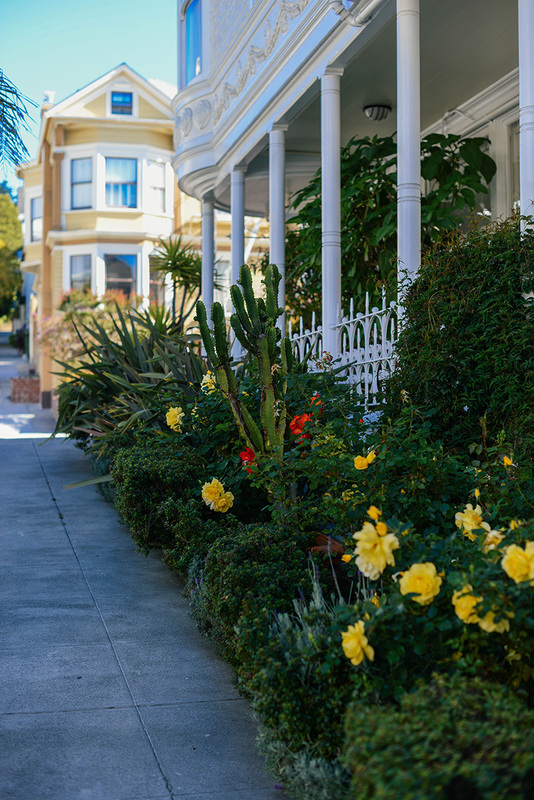 There are so many fun destinations that are close to San Francisco. 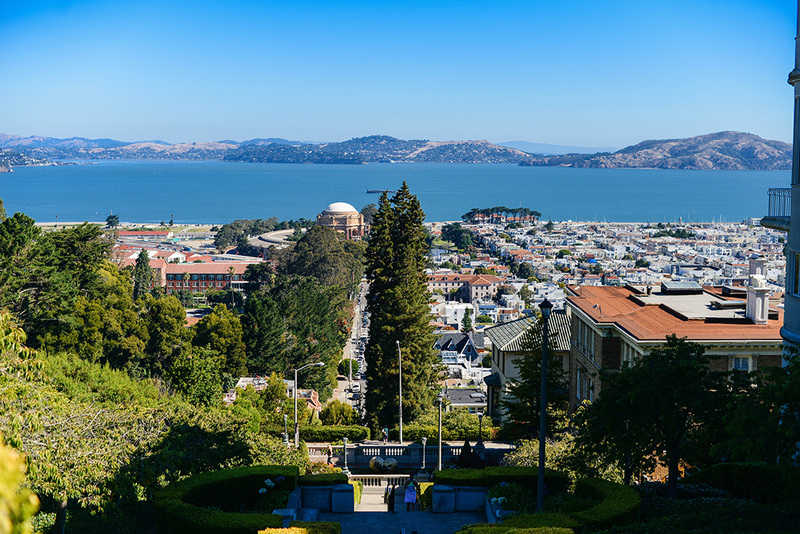 Take the ferry to Sausalito and have lunch, or rent a car and head to Oakland or Berkely. LOVING these pics, Merritt! Makes me want to book a trip ASAP! Happy Saturday! This San Franciscian gives your suggestions two thumbs up! I will say we enjoyed our meal at The Progress much more than SBP. Next time you visit, you should head over to The Mission to check out Craftsmen & Wolves, Trick Dog, Burma Love, and Lolo! What a great guide, Merritt! I’ve only been there a few times. Now, I need to go back.